We're in the middle of a tug of war over the future of CBS Corporation. With a pivotal vote on Thursday, the CBS board of directors chose sides. 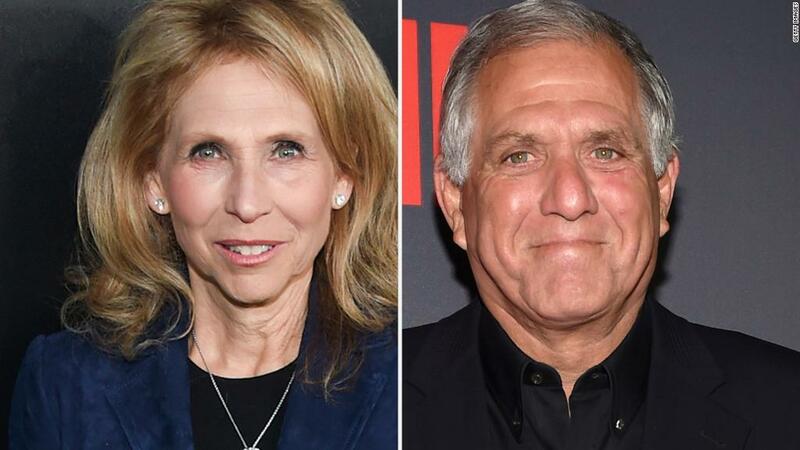 Eleven of the 14 board members supported a proposal to issue a dividend that would dilute Shari Redstone's controlling stake in the broadcaster. CBS CEO Les Moonves was one of the 11. The other 10 sided with him. The remaining 3 board members -- Redstone and two other board members affiliated with her holding company National Amusements -- voted against the dividend. Ultimately this will be decided in the courts. But now it's crystal clear where everyone stands. CBS is attempting to break free from the Redstone family, which has controlled the company for decades. "The Board of Directors has taken this step because it believes it is in the best interests of all CBS stockholders, is necessary to protect stockholders' interests and would unlock significant stockholder value," CBS said in a statement after Thursday's board meeting. "If consummated, the dividend would enable the Company to operate as an independent, non-controlled company and more fully evaluate strategic alternatives," CBS said. Translation: More autonomy and a possible sale. But National Amusements is having none of it. "CBS management and the special committee cannot wish away the reality that CBS has a controlling shareholder," Redstone's spokeswoman said after the board meeting. Both sides are acknowledging that the battle is not over yet. Earlier in the day, a judge in Delaware Chancery Court sided with Redstone by ruling against a request by CBS for a temporary restraining order. In effect, Redstone won round one. CBS moved forward with a 5 p.m. ET board meeting, where Redstone and Moonves came face to face for the first time since a lawsuit was filed on Monday. After the board meeting, CBS said it had tabled its annual shareholder meeting, which was scheduled to take place on Friday. "The Board will determine shortly a new record date for the meeting and will publicly announce the new date, time and location," the company said. Many years of tensions over the Redstone family's control of CBS and sister company Viacom have boiled over. First Sumner Redstone, and now his daughter Shari, have exercised control over the companies through their voting stock. Investors — in this company and others — have long bemoaned this kind of dual-class stock structure. In the media business, it's been known as the "Redstone discount," implying the stocks would trade at a higher level without the family's involvement. But the Redstones say they have the best interests of the companies at heart. Earlier this year Shari Redstone pushed CBS and Viacom to form special board committees to explore a merger. They did, and the merger negotiations progressed for a while, but then broke down. Moonves and others in his camp are merger-averse. CBS is widely seen as the stronger of the two companies, and some key Wall Street analysts harbor doubts about the benefits of a merger. On Monday the members of the CBS special committee filed a lawsuit against Redstone and National Amusements. The board members outlined disputes with Redstone and expressed concern that she would force through a merger by using her power over the board. In the suit, the five board members said they "unanimously believe that the CBS Board has a fiduciary duty to act now to protect all stockholders and prevent Ms. Redstone from further breaches of her fiduciary duties." Redstone's camp said the lawsuit was "outrageous" and said she had no intent to "force" a merger. The board outlined its plan to reduce Redstone's control by issuing a dividend that would dilute her voting stake. CBS said a provision in its bylaws allowed this move. The board sought a temporary restraining order to stop Redstone "from interfering" in the vote. On Wednesday, Redstone responded by changing the CBS bylaws to require a supermajority vote on the matter. That meant the dividend proposal would almost certainly fall short. CBS had hoped judge Andre Bouchard would nullify the change to the bylaws and grant a temporary restraining order. But he sided with National Amusements on Thursday morning. Bouchard left open some legal pathways for CBS, however. And CBS said it would exercise those. "The judge today found that the allegations in our lawsuit 'are sufficient to state a colorable claim for breach of fiduciary duty against Ms. Redstone and NAI as CBS's controlling stockholder.' We could not agree more," CBS said. "While we are disappointed that the judge did not grant a TRO, the ruling clearly recognizes that we may bring further legal action to challenge any actions by NAI that we consider to be unlawful, and we will do so." NAI's position is that concern about a merger is just a pretext for a corporate rebellion. "As National Amusements has repeatedly stated, it has no intention of forcing a merger that is not supported by both CBS and Viacom," the company said. "Today's board vote, while couched as an effort to prevent such a transaction, was pure pretext." NAI reiterated its view that the change to the bylaws requiring a supermajority "was plainly necessary, and it is valid." It's hard to see the two sides coming to a compromise. Either CBS will win, and Moonves will gain more autonomy over the company he has led for 20 years, or Redstone will win, and Moonves will be replaced. The results of this so-called nuclear option could have consequences for other companies with dual-class stock structures. People on Team Moonves say this week's maneuverings are a smart power play on his part and the CBS board's part. They portray the board as fighting for its freedom and the future of CBS. Moonves "knows CBS and Wall Street are with him," an insider remarked on condition of anonymity. People on Team Redstone say that's irrelevant because Redstone is well within her legal rights. Redstone "had the legal right to change bylaws," BTIG analyst Rich Greenfield said. Greenfield remarked that Moonves "wants to be an owner, not an employee... so he should go start a company he owns."